Beying part of EU countries, Romania has to increase the share of energy produced from renewable sources in the total energy produced in order to reach the target of 38% in 2020. Renewable energy has various forms: wind, solar, aerothermal, hydrothermal, biomass and other. In 2020, in Romania, most of the investments regarded wind energy. 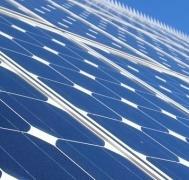 Having in view all the new adopted laws in 2012 and the mechanism of promoting the renewable energy which the state offers, Romania could develop a bigger interest for photovoltaic energy which become a more interesting sector. For example, if for 1 Mwh of electricity produced and delivered by wind energy Romania offers 1 Green Certificate, for 1 MWh of solar energy the producers will receive 6 Green Certificates. Along with the tax exemptions or reduction, tax refunds, investment aid and the promotion schemes on the purchase obligation of renewable energy, Romania could become one of the most attractive countries in renewable energy.